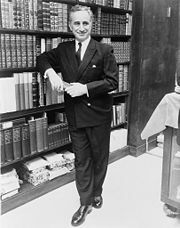 Elia Kazan, (Greek: Ηλίας Καζάν) (September 7, 1909 – September 28, 2003) was a Greek-American film and theater director, film and theatrical producer, screenwriter, novelist, and co-founder of the influential Actors Studio in New York in 1947. Kazan collaborated with Arthur Miller in creating Miller's best work and went on to direct it, especially Death of a Salesman, with Lee J. Cobb in the leading role in the first Broadway production. This show garnered enthusiastic reviews, receiving the Pulitzer Prize for Drama in 1949, the 1949 Tony Award for Best Play, as well as the New York Drama Critics' Circle Award for Best Play. Death of a Salesman was the first play to win these three major awards. It also won Kazan the Tony Award for Best Direction, running for 742 performances. Kazan directed Marlon Brando in both the theater and film versions of Tennessee Williams' A Streetcar Named Desire. Kazan went on to direct James Dean (in East of Eden) and Marlon Brando again (after directing him in a less memorable performance in Viva Zapata) in On the Waterfront, sometimes regarded as the best performance by any actor in any American movie. Kazan won two Academy Awards for Best Director, for Gentlemen's Agreement, 1947, and On The Waterfront, 1954; he also received a controversial Academy Honorary Award for Lifetime Achievement in 1999. Elia Kazan was born Elias Kazanjoglou in 1909, in Constantinople (present-day Istanbul, Turkey), then capital of the Ottoman Empire, to a Greek family. According to some sources he was born in the Anatolian city of Kayseri. Suffering prejudice from the newly-formed government of the Young Turks for his Greek ancestry, his family immigrated to the United States in 1913, a story partly told in Kazan's book America, America and the movie by the same title based on it, which Kazan called his favorite of all his films. The family settled in New York City, where his father, George Kazanjoglou, became a rug merchant. Kazan's father expected that his son would go into the family business, but his mother, Athena, encouraged Kazan to make his own decisions. Kazan attended public schools in New York City and New Rochelle, New York. After graduating from Williams College, Massachusetts, Kazan studied at Yale University's School of Drama. In the 1930s, Kazan acted with New York's Group Theater, alongside (among others) Lee Strasberg, Clifford Odets, and Stella and Luther Adler. During this period, Kazan received his nickname "Gadg," short for Gadget, given to him partly because of his short height—he never learned to love the name, and sometimes spoke resentfully of it. For about 19 months in 1934-36, Kazan was a member of a secret Communist cell. The Group Theater was formed in the summer of 1931 based on the passionate dream of three young idealists—Harold Clurman, Cheryl Crawford and Lee Strasberg—to transform the American theater. They recruited some 28 actors to form a permanent ensemble, known as the Group Theater, dedicated to dramatizing the life of their times. Their goal was to change what they saw as the old-fashioned light entertainment that dominated the theater of the late 1920s by developing a new theater that would produce original American plays that would mirror and change the life of their troubled times. Over ten years and about twenty productions, they succeeded in changing the course of American theater. The Group Theater was based on the work of the Moscow Art Theater, using an ensemble approach that was at once both highly personal and cooperative. The important thing was not that individual actors played individual parts, but an ensemble approach in which the cast was familiar with one another and believable as a whole. If the actors had off-stage relationships, then so much the better because this would mean that the relationships on stage would actually be more "real." In 1947, Kazan was one of three members of the Group Theater—the others were Cheryl Crawford, and Robert Lewis—who founded the the Actors Studio to train actors in the realistic style that had been developed by the Group Theater in the thirties. The work of the Group Theater and then the Actors Studio was based on the innovative techniques of the Russian master theater director and theorist, Constantin Stanislavski. In 1952, Lee Strasberg took over as director of the Group Theater and further refined the technique into what was called "the method." The method, or "method acting," as it has come to be known, proposed a series of physical and psychological exercises that would make the actor feel and express the emotional subtext to the text of the drama. This method led to some of the greatest performances ever to appear in American theater or film; the work of Marlon Brando and James Dean, as directed by Kazan and others, are just two of the many notable examples. Kazan's work with the Actors Studio brought him into contact with the best actors and actresses of the time, including Marlon Brando, James Dean, Barbara Loden (who Kazan married), and many others, and such playwrights as Tennessee Williams and Arthur Miller. In fact, Kazan and Miller were extremely close—"like brothers" and "the same fellow," both men said—and they even both had an affair with the same woman, Marilyn Monroe (who Miller later married). (This close relationship between Kazan and Miller would be irrevocably sundered when Kazan "named names.") From this Kazan went on to direct and produce some of the best theater work ever performed in America. Kazan's theater credits included acting in Men in White, Waiting for Lefty, Johnny Johnson, and Golden Boy, and directing A Streetcar Named Desire, (1951) and Cat on a Hot Tin Roof (1955), two of the plays that made Tennessee Williams a theatrical and literary force, and All My Sons (1947) and Death of a Salesman, (1949) the plays which did much the same for Arthur Miller. 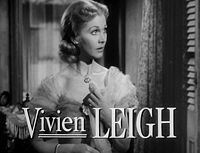 He received three Tony Awards, winning for All My Sons, Death of a Salesman, and J.B.
Vivien Leigh in A Streetcar Named Desire (1951). Kazan's history as a film director is scarcely less noteworthy than his theatrical career. He directed some of the best movies ever to come out of Hollywood, and won two Academy Awards for Best Director, for Gentleman's Agreement (1947) and On the Waterfront (1954). He elicited remarkable performances from actors such as Marlon Brando and Oscar winners Vivien Leigh, Karl Malden and Kim Hunter in A Streetcar Named Desire (1951) (the film version of Tennessee Williams' play), James Dean and Oscar winner Jo Van Fleet in East of Eden (adapted from the John Steinbeck novel), and Andy Griffith in A Face in the Crowd. Many people regard Marlon Brando's performance in On the Waterfront as the best ever by an American Actor in any film, and Eve Marie Saint had her first ever screen role—for which she too won the Best Supporting Actress Oscar—playing Brando's love interest in that same picture. Kazan's later career was marked by his testimony before the House Un-American Activities Committee (HUAC) during the postwar "Red Scare." During his testimony he "named names." Some others who named names, for a variety of reasons, included Jerome Robbins, Robert Taylor, Sterling Hayden, Leo Townsend, Burl Ives, Budd Schulberg and Lela Rogers (mother of Ginger Rogers). Kazan had briefly been a member of the Communist Party in his youth, when working as part of a theater troupe, the Group Theater, in the 1930s. At the time, the Group Theater included several theater professionals who had Communist or other left-wing sympathies. A committed Socialist, Kazan felt betrayed by Joseph Stalin's atrocities and the ideological rigidity of Communists in general. He was personally offended when Party functionaries tried to intervene in the artistic decisions of his theater group. At first, although Kazan agreed to testify before HUAC, and readily admitted his former membership in the Communist Party, he refused to name others who had been members. But Kazan felt increasing pressure from Hollywood studio management to cooperate with the Committee, and, in order to preserve his career, provided the names of former Party members or those connected with Party activities. He knew that the names he was giving were already known to the Committee, since HUAC had already obtained copies of Communist Party membership archives, and that his testimony would be used primarily to increase media attention. After a delay, during which he asked for and received permission to release the names of former members of the Party, he was recalled to testify, and at the second examination Kazan provided testimony to the Committee. The "naming of names" by some in Hollywood was used as a tactic by HUAC to validate the Committee's actions and galvanize reaction against those who were merely friends or relations of the accused, so-called "fellow travelers." One of those named as a Party member was the wife of noted actor John Garfield, with whom Kazan had worked in the Group Theater troupe, and who was being investigated by HUAC. HUAC failed to uncover any evidence of Communist Party membership by Garfield himself, but Garfield was nonetheless subpoenaed. As Kazan later explained, he felt that it was in the best interest of the country and his own liberal beliefs to cooperate with HUAC's anti-communist efforts in order to counter Communists in Hollywood who were co-opting the liberal agenda. Kazan felt no allegiance to Communism, and had been disillusioned by the Soviet Union's brutal record of murder and repression during Stalin's Purges, and the Polish massacres of World War II. He still resented the Party's attempt to force their agenda on him during his theater group days. American playwrights Lillian Hellman and Arthur Miller publicly and bitterly disagreed with Kazan's reasoning. Ironically, though Kazan testified to HUAC under threat of ostracism and blacklisting by the Hollywood studios, he was in turn shunned and ostracized by many of his former friends. Kazan's action led to a break with Miller, and the two formerly close friends and collaborators would not acknowledge each other's existence for about a decade. They would later try to work together again, but never with anywhere near the same success in their collaboration as before. Always a confirmed liberal and progressive, even socialist in his political outlook, Kazan now found himself hated by the left, yet also mistrusted by many on the right. Both Miller and Kazan went on to produce allegorical work that spoke to and attempted to justify their choices about whether to "name names" or refuse to do so. Miller wrote the play The Crucible (1953), about the Salem witch trials, using that event as an allegory for McCarthyism and the Red Scare. This play, done entirely without Kazan's help, was not as successful and has never been regarded as highly as his earlier work, especially Death of A Salesman. In 1967, Kazan published The Arrangement, a novel about an emotionally-battered middle-aged Greek-American living a double life in California as both an advertising executive, under the name "Eddie Andreson," and a serious, muckraking magazine writer under the name "Evans Arness," neither of which was his birth name, Evangelos Arness. The character's "arrangement" of his life takes a huge toll on him, eventually leading him to a suicide attempt and a nervous breakdown. Critics saw parallels to Kazan's own life, most notably that the character had briefly been a member of the Communist Party prior to World War II and of course, the character's Anatolian Greek background and Americanization of his birth name. Kazan disclaimed any autobiographical elements and stated that the novel was a work of fiction, nothing more or less. It served as the basis for his 1969 film of the same name. In 1999, Kazan received an honorary Oscar for lifetime achievement. He was accompanied by Martin Scorsese and Robert De Niro who warned the audience sotto voce not to misbehave. Robert De Niro himself had appeared in a film about the Hollywood Red Scare. While many in Hollywood who had experienced the Red Scare felt that enough time had passed and that it was appropriate to bury the hatchet and recognize Kazan's great artistic accomplishments—Arthur Miller was one of those—others did not. Some Hollywood celebrities expressed outrage, and former blacklisted writer Abraham Polonsky stated that he wished Kazan would be shot onstage. Some footage from the 1999 Oscars suggests that fully three-quarters of those present in the audience gave him a standing ovation, including Lynn Redgrave, Karl Malden, Meryl Streep, and the very liberal Warren Beatty (Beatty later said that he was applauding because Kazan had directed him in his first film Splendor in the Grass, but was not endorsing the decision he made). However, the footage also showed actors such as Ed Harris, Nick Nolte, Ian McKellen, Richard Dreyfuss, Amy Madigan, Ed Begley, Jr., and Holly Hunter sitting on their hands or refusing to applaud. Still others, such as Steven Spielberg and Sherry Lansing applauded politely, but did not rise. Elia Kazan was married three times. His first wife was Molly Day Thacher, playwright; married from 1932 until her death in 1963, this marriage produced two daughters and two sons. His second wife was Barbara Loden, actress; married from 1969 until her death in 1980, this marriage produced two sons. Finally, he was married to Frances Rudge from 1982 until his death in 2003 from natural causes at his home in New York. He was 94 years old. Constance Dowling had been involved in a long affair with him while in New York. He couldn't bring himself to leave his first wife and the affair ended when Dowling went to Hollywood under contract to Goldwyn. With the possible exception of Orson Welles (whose output was smaller and who for complex reasons did not finish most of what he started), no figure did greater or more important work in both theater and film in America than Kazan. His memorable work in directing the best plays of Tennessee Williams, Arthur Miller, and others stands as one of the highest points of American theater. His work in founding the Actors Studio was highly influential in training several generations of American actors and actresses in a style of acting that became dominant in American theater and film. Kazan went on to direct some of Hollywood's greatest movies ever made, with some of its best actors and actresses, especially A Streetcar Named Desire, East of Eden, A Face in the Crowd, and the pinnacle of his career, On the Waterfront, ranked the 8th Greatest American film of all time by the American Film Institute. Kazan's career and memory have been marred, however, by the reaction of colleagues and former friends to his decision to testify before HUAC and give names of other former Communists, and to this day Kazan has never been forgiven and is still actively hated for this by many in the theater and film communities. If not for that, Kazan would be listed more highly than he has been in the annals of greatness in American theater and film. 1955: Won Academy Award for Best Director, On the Waterfront. Nominated for Best Director, A Streetcar Named Desire (1951), East of Eden (1956) and America, America (1963). Also nominated for Best Adapted Screenplay (from his own novel) and Best Picture for America, America (1963). 1951: Won Special Jury Prize, A Streetcar Named Desire (1951), "For having produced a stage play on screen, poetically interpreting the humanity of the characters, thanks to masterly direction." The Arrangement (1967), New York: Stein and Day. The Assassins (1972), New York: Stein and Day. The Understudy (1975), New York: Stein and Day. ↑ 1.0 1.1 www.kirjasto.sci.fi, Elia Kazan (1909-2003). Retrieved December 21, 2007. ↑ Media Search, Some Rude to Kazan. Retrieved December 21, 2007. Basinger, Jeanine, John Frazer, and Joseph W. Reed, (eds.). Working With Kazan. Middletown, Conn.: Wesleyan University, 1973. OCLC 1000729. Jones, David Richard. Great Directors at Work: Stanislavsky, Brecht, Kazan, Brook. Berkeley: University of California Press, 1986. ISBN 0520046013. Michaels, Lloyd. Elia Kazan: A Guide to References and Resources. Boston: G.K. Hall, 1985. ISBN 0816185085. Murphy, Brenda, Tennessee Williams and Elia Kazan: A Collaboration in the Theatre. New York: Cambridge University Press, 1992. ISBN 0521400953. Pauly, Thomas H, An American Odyssey: Elia Kazan and American Culture. Philadelphia: Temple University Press, 1983. ISBN 0877222967. Schickel, Richard. Elia Kazan: A Biography. New York: HarperCollins Publishers, 2005. ISBN 0060195797. Tailleur, Roger. Elia Kazan, Présentation par Roger Tailleur. Choix de propos d'Elia Kazan Filmographie, Théâtrographie, Bibliographie. Paris: Seghers, 1965. OCLC 6395976. Waite, Eileen Yearwood. Elia Kazan and the first year of the Lincoln Center Repertory Theatre. Thesis (M.A.—Drama)—Catholic University of America, 1973. OCLC 56837431. This page was last modified on 14 September 2017, at 15:29.